Butch Gautreaux was first elected to the Louisiana House of Representatives in 1996. 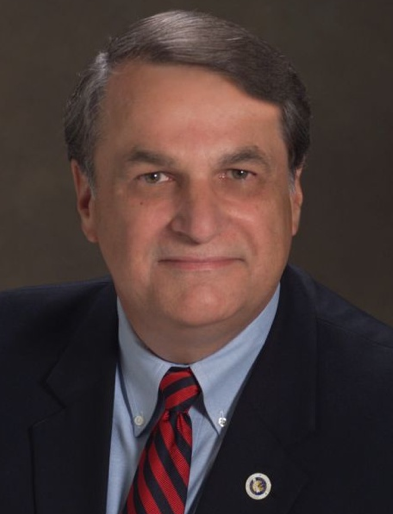 He quickly ascended to the Louisiana State Senate in 2000 and has served three consecutive terms, representing District 21. Last year, Gautreaux ran a grassroots campaign for Lieutenant Governor. Caroline Fayard, who had been virtually unknown in Louisiana politics, won the Democratic nomination, though she was subsequently defeated by Republican Jay Dardenne. Most recently, Senator Gautreaux, who is prevented from running again for his Senate seat because of term limits, made headlines after delivering a passionate and detailed speech about the failures of Governor Bobby Jindal. It was one of Senator Gautreaux’s final acts on the floor of the Louisiana State Senate, his farewell address, if you will. Lamar: If you were Governor, what are the first three things you would do immediately? Senator Gautreaux: If I were Governor, my top three initiatives would all involve communications. I’ve observed Governors become more and more removed from the citizens of Louisiana. There was a time not too long ago when a citizen could actually get the Governor on the phone. Understandably, that can’t routinely happen, but there are cases where, once screened, a return call should come from no one but the Governor. # 1 would be to open communications with all citizens of Louisiana by regularly doing a thirty minute briefing on the Internet. I would allow for a fifteen minute message from me, followed up with another fifteen minutes of Q&A. #2 I would provide legislators the time to visit with me. I would allow for one-on-one meetings for any State purpose, asking the legislator if they would want anyone else there and recommending but not requiring that I be allowed to get information in advance to be prepared. #3 I would have a regularly scheduled press conference to address anything having to do with the office I hold. I would ask that people and personalities be put aside and have discussions of the issues. Lamar: Can you explain the situation with the Office of Group Benefits and why it should matter to Louisianans? Senator Gautreaux: Every taxpayer should be up in arms about the potential sale of the Office of Group Benefits. Since we the taxpayers are responsible in most cases for 75% of the premium dollar, selling off the PPO plan will cost the State (taxpayer) at minimum an additional $100 million annually for State workers health insurance. Any and all private insurance companies are in the business to make a profit; OGB doesn’t look to make a profit. Any and all private insurance companies must give investors a return on investment through increased share price and/or dividends; OGB doesn’t look to make a profit. Any and all private insurance companies have to pay for advertising and marketing their product; OGB doesn’t have to; it has a captive market of State employees. OGB provides competitive premiums through efficient management, effective discount demands of providers, and a health management program to keep costs down by keeping members healthier. All of this has provided the State with lower premiums, a healthier work force, and a healthy cash reserve. Lamar: You supported President Obama in 2008. How was your support received by your constituents? Senator Gautreaux: My support of President Obama receives mixed reviews. I understand that Louisiana is a conservative state. I am probably in the top ten percent of legislators with conservative fiscal legislation offered and passed. I have one of the most fiscally responsible voting records in the Senate. Because I am a business man with a strong fiscal background, I knew that we needed to do something different from the politics and policies that drove us deep into the recession. Most people understand how bad our economy had faltered and understand that you don’t turn around eight years of mismanagement in two or three. And most people understand that the Right wants Obama to fail, even at the cost to our country. As far as my constituents are concerned, I have some who vote for me as the only exception to voting Republican. I have others who also voted for and support the President but don’t want anyone to know it. There is a lot of bullying out there of white male Democrats. Lamar: Is it legitimate for the Governor to refuse to provide records that he claims are a “part of the deliberative process”? Senator Gautreaux: There has been a lot of controversy over the Governor’s keeping records from the view of legislators, the media, and the public for that matter. His staff uses “deliberative process” as cause for hiding some pretty unsavory insiders dealings. We have discovered a deal made to give Vantage Health a book of business by writing the RFP so tightly that only they could respond. During the Regular Legislative session, we discovered after hours of interrogation of the Governor’s Commissioner of Administration that he had cut a deal with the former employer of the Louisiana Secretary of Health and Hospitals. They are now awarded a multi-million dollar contract to administer the State’s Medicaid claims, something the State has always done for itself. Again, this Governor is privatizing everything he can without consideration of cost and under the deliberative process. The lack of transparency is costing us a fortune. Now the most efficient and effective agency in State government, OGB is being privatized at great cost. Lamar: What did you think of this year’s efforts at repealing the Louisiana Science Education Act? Senator Gautreaux: As I was taught in my Catholic education, there is no distinction in how we were created, only that we were created by God. Most scientists believe evolution is the way God created man. I think to set ourselves apart from the rest of the world in a distinction never considered before is counter-productive to the education process. Lamar: You’ve served the State of Louisiana for many years. What do you think your single greatest accomplishment was in the legislature? Senator Gautreaux: On personal accomplishments, I’m most proud of requiring that all retirement legislation must identify a funding source before being considered. In the past, legislation was brought that satisfied a person or a group of people with the expectation that the cost would be borne by the State. We know that we can’t do business that way, but it took setting it in law to make it policy. My other accomplishment that I am most proud of is challenging bad legislation with sound fiscal and ethical principles. I am well-known in Legislative circles for my almost daily mass e-mails to the members, staff, and others alerting them of attempts to codify bad policy. This practice works well, as evidenced by several failed bills in the Governor’s package. Lamar: Were you disappointed by the Louisiana’s Congressional redistricting? Senator Gautreaux: I was disappointed in the Congressional plan finally voted out by the legislature. I voted for the Peterson plan that was accepted by the Senate and then threatened with veto by the Governor. It most satisfied the needs of representation but didn’t satisfy the needs of two Republican incumbents. I finally voted for the plan accepted by the Governor to get it over and done with. It was evident that the Legislature would not stand up to Jindal. Lamar: How would you grade Governor Bobby Jindal? Senator Gautreaux: I would say that Bobby Jindal is the most effective politician I have ever witnessed. I have not ever before witnessed the State being ruled by one person. While creating fear among legislators, Jindal has created an adoring fan base. Lamar: What is your favorite place in Louisiana? Senator Gautreaux: My favorite place in Louisiana is my house. I’m sure most busy people relish the time they are able to spend at home, and I’m no different. But other than my kitchen table, I like the diversity of Louisiana. We have the most scenic waterways in the country, especially in the Atchafalaya Basin, where there are more species of fishes, animals, and plants than any other place on Earth. I love the piney woods and rolling hills of north Louisiana– from the delta to the casinos and great, great hotels in Shreveport. I love the excitement of New Orleans and the great food throughout Louisiana that makes us truly unique.